This offered range is predominantly used in various residential and commercial swimming pools for heating up the water to a requisite temperature. Suitable for Coastal area with corrosion resistance. Digital LCD display with control panel. World famous Japanese brand compressor. SSP uses quality pool heaters for your swimming pool which is dependable, trouble-free, and performance-proven, with corrosion-free, 100% copper and bronze waterways. Our installed electric pool heaters are compact and keep your swimming pool heated using minimum electricity. Procure safe and reliable residential pool solar heater from us at best of industry prices. The heater is long lasting and heats water as per required temperature. 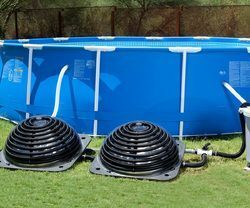 Uma Poly Solar collectors have no thermal welding joint and is a one piece injection moulded design ever thought of in the swimming pool water heating arena. Our innovative range of JM heaters is ideal for application in luxurious VIP rooms and house holds. Light in weight, these heaters can be easily installed and operated. The JM heaters are available in full stainless steel and coated casings at the most competitive prices. Water Heating: Hotels and Inns need to provide hot water for bathrooms, spas and swimming pools for comfort of their guests. 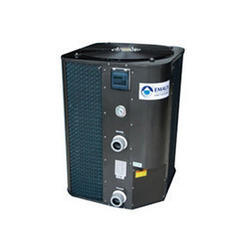 We are the leading manufactures and suppliers of Swimming pool Heat Pump water heater in Coimbatore, Chennai, Tirupur, Trichy, Salem, Tanjore, Madurai, Tirunelveli, Tamilnadu, Goa, Bangalore, Mangalore, Kerala and all over India.